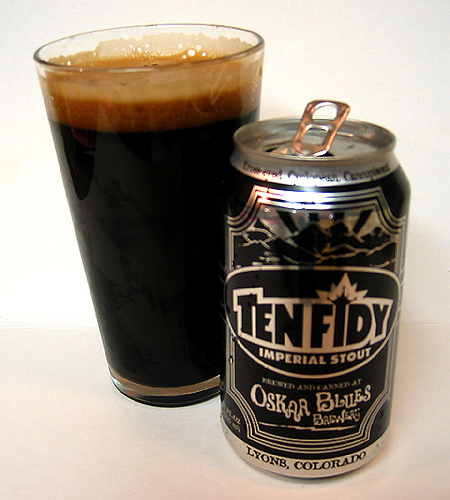 If you haven’t tried this Colorado, canned stout, you are missing out on an amazing experience. Thick, rich, velvet mouth-feel. 9.5 ABV. Good stuff to get schnockered on, and if you remember the 9.5% ABV, you will be able to more easily stomach the price. EAch can packs the wallop of 3 regular beers, so the triple price is “somewhat” justified. Tasty, tasty! !Look at that COLOR! !